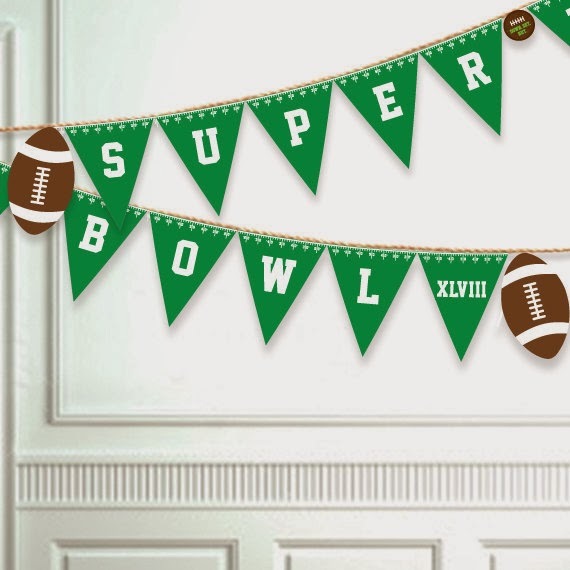 The Super Bowl is just around the corner, and it's not too late to throw a great party. Did you catch the pun there? Ha! If you need a little inspiration, check out these fantastic party supplies and decor on Etsy.com. 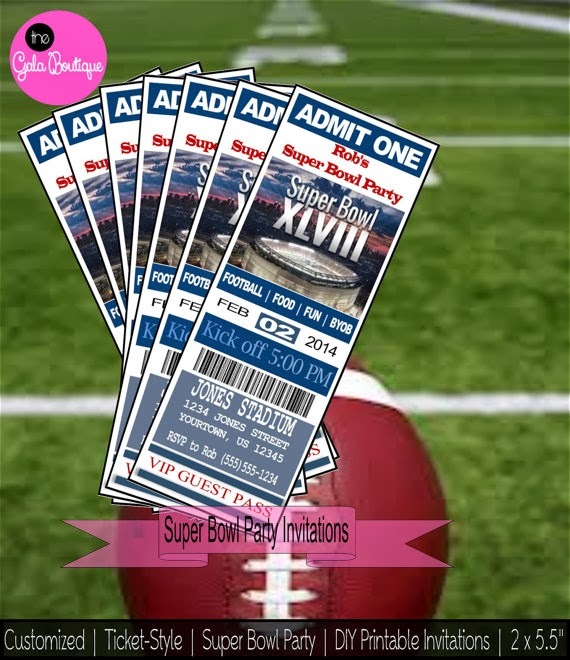 Pass out tickets from The Gala Boutique as invitations for your Super Bowl party. This platter is awesome, and any thing you put on it is bound to taste fantastic! Grab yours at I Sell Tshirts. 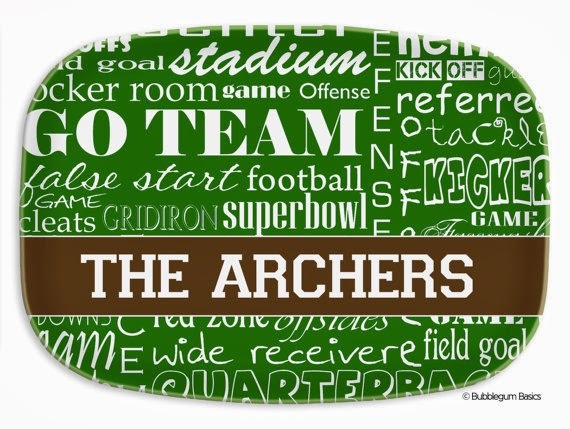 Print up a banner to show your football spirit, and add a pop to your football decor. This DIY printable is from Paper Fox Design. 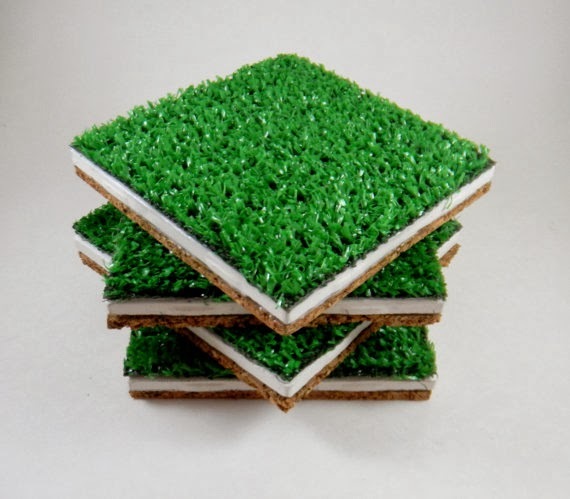 When I saw these AstroTurf coasters from Impulsive Creativity, I decided they had to be included in the Super Bowl party lineup. Love them! 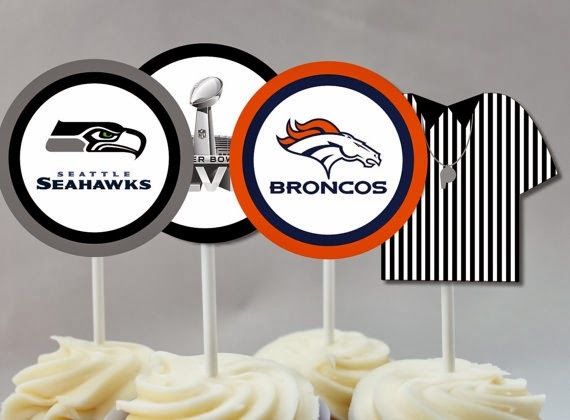 Let your guests pick which team they are routing for with these great cupcake toppers from Party Paper Creations. You can print these out from the comfort of your home. No need to break out the fine crystal for the party. Give everyone a football cup from Tip Top Supply 4 U.
Super Bowl food boats that you can instantly download? Yes, thank you! Tulle and Twig offers these for your last minute party. 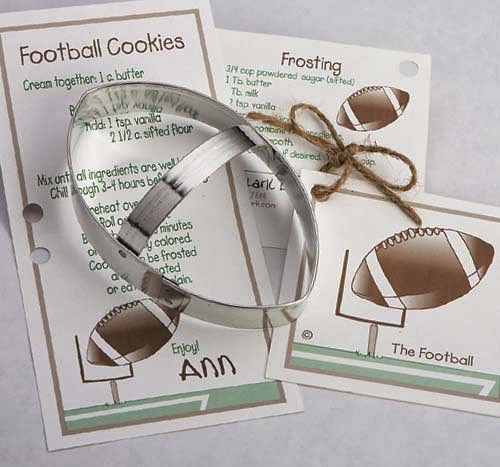 Instead of sending your guests home with sweets, how about a football cookie cutter? Bakers Bling Shop sends them with a recipe for cookies and frosting. Have a great Super Bowl party! 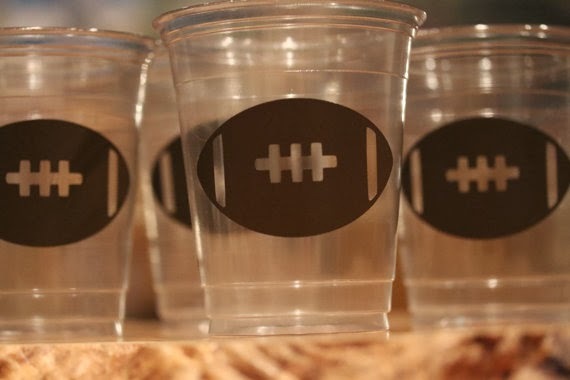 These Super Bowl party finds are fantastic! Thank you so much for including my invitations!